So which kind of toothbrush is right for you? Whether manual or electric, it's important to choose a toothbrush that is appropriate for your age and oral health needs. Make sure you pick a shape and size is most comfortable for you. Naturally, the best toothbrush is one that fits your mouth. The head of the toothbrush should allow you easy access to all your teeth, especially those hard-to-reach molars. A toothbrush that is too large will be cumbersome to maneuver in a smaller mouth, while a toothbrush that is too small won't be as effective in reaching all the surface areas of your teeth. A soft-bristle toothbrush is your best bet to achieve a comfortable, safe, and effective teeth cleaning. Medium and hard-bristled brushes can damage your enamel and gums, especially if you tend to be an aggressive brusher. Perfect for those with limited mobility to guarantee a good cleaning. Some brands have features that promote better brushing techniques (including a timer, brush intensity meter and more). A better, deeper clean because they are designed to produce more movement and push fluids between the teeth. To get the most out of an electric toothbrush while wearing braces, choose one with a small head and soft bristles. When brushing, apply gentle pressure and to allow the toothbrush to do the hard work for you. 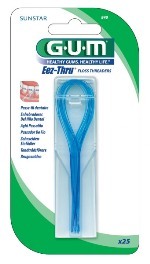 Remember to get around the bands, brackets and wires for a deep clean and healthier gums. While an electric toothbrush can make the oral care process more efficient, that’s not to say that manual toothbrushes can’t get the job done. Manual toothbrushes are just as great at cleaning teeth as their electric counterparts, but many people do not use them properly. It is common for those using a manual toothbrush to not brush their teeth long enough to reap its benefits. For the best clean, the American Dental Association recommends brushing for a minimum of two minutes at least twice per day. Finding the right toothbrush is the first step in great oral health. The second is ensuring that you're using the right brushing technique. Placing the toothbrush closer to the gum line and brushing with gentle circular motions for two minutes is important to achieve the best results. Patients in braces should brush for 5 minutes twice a day since food particles can be more difficult to remove around brackets and wires. Make sure the toothbrush you choose has undergone rigorous safety and effectiveness testing. Look for the American Dental Association's (ADA) seal of approval or consult our team for recommendations on the best type of toothbrush to meet your needs, especially if you are wearing braces. 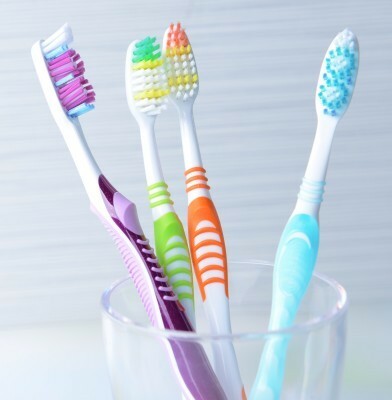 If you are still unsure of which toothbrush to choose during orthodontic treatment, contact our office. Dr. Stephen Godwin and the team at Bel Air Orthodontics will work with you to suggest a toothbrush that fits both your lifestyle and the appliances you are wearing so that you can achieve the bright, healthy smile you deserve. There are so many ways you can protect your teeth throughout your orthodontic treatment. We recommend you brush your teeth at least two times per day, floss regularly and protect your mouth and appliances from damage by making smart food choices. But did you know there is another, often forgotten, way to keep your teeth clean and healthy during your treatment? Fluoride, a mineral found in your water and many dental products can keep your teeth strong! What is Fluoride And How is It Used? Fluoride is a mineral that helps prevent cavities and tooth decay. It comes in two varieties: topical and systemic. Topical fluorides are applied directly to the tooth enamel. 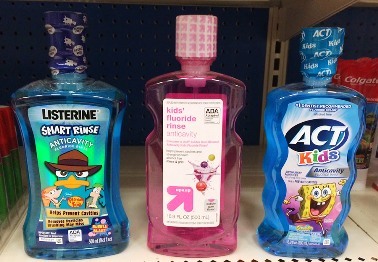 Some examples include fluoride toothpastes and mouth rinses, as well as fluoride treatments at your dentist's office. Systemic fluoride is swallowed and benefits the teeth before and after they erupt in the mouth. Examples include fluoridated water and dietary fluoride supplements. The topical fluoride preparation used in the dental office is a much stronger concentration than that in toothpastes or mouth rinses that are available at your local pharmacy. A fluoride treatment typically takes just a few minutes. After the treatment, patients are asked not to rinse, eat or drink for at least 30 minutes in order to allow the teeth to absorb the fluoride. Your dentist may also prescribe a fluoride product such as fluoride gels or antibacterial mouth rinses. Dentists have used in-office fluoride treatments for decades to help protect their patients' oral health; so if you have questions about fluoride treatments and their benefits, don't hesitate to ask the team at Bel Air Orthodontics or your general dentist. 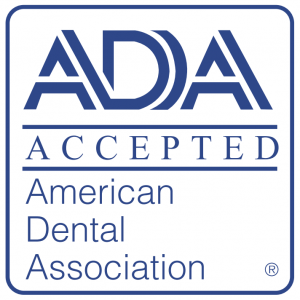 Look For The American Dental Association's Seal of Acceptance. 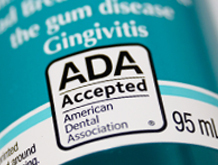 When choosing your own over-the-counter fluoride products, be sure to check for the American Dental Association's (ADA) seal of acceptance. Products marked with the ADA seal of approval have been examined carefully by the ADA's Council on Scientific Affairs and have met it's criteria for safety and effectiveness. Take care of your teeth and share your beautiful smile! Even though your braces have been removed, your orthodontic treatment isn’t quite finished yet. Retainers must be worn routinely after treatment in order to hold your teeth in their proper, new position while your gums, ligaments, and bones adapt. 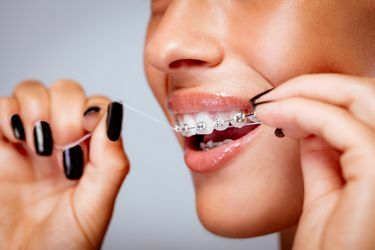 You’ll be required to wear your retainer full time (twenty-four hours a day) for the first six months (except while eating and brushing your teeth), after which your wear time will typically be reduced to just at night while you sleep. Your teeth will shift and become crooked again if you do not wear your retainers. Bone remodeling around the roots of your teeth allows the braces to move your teeth. Research demonstrates that remodeled bone requires up to six months to regain original strength. As the bone restores its strength, your retainers maintain your beautiful smile by holding the crowns of your teeth in their proper position. The main advantage of removable retainers is their ease of use. You can take them out when you eat and when you brush and floss your teeth. Most importantly, removable retainers need to be used as directed to be effective. There are downsides to using a removable retainer, however. 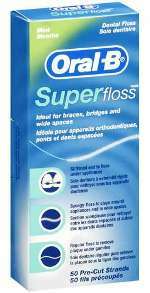 They can easily be forgotten at times; and if you are not wearing them as prescribed, they can't do their job of retaining your teeth. Even worse, because they are removable, they are easy to misplace. Essix (Clear) Retainers: The Essix retainer is a clear, removable retainer that fits over the entire arch of your teeth. Similar to clear aligner trays, Essix retainers contain no metal or wires. They can also be used to produce minor tooth movements, and can be helpful in prevention of tooth wear due to tooth grinding at night. Hawley Retainers: The Hawley is one of the most common types of removable retainer. It consists of a combination of a metal wire that typically surrounds the six front teeth and an acrylic framing to hold it in place. The acrylic can also be personalized with a large selection of colors or patterns. Permanent retainers are placed onto the inside surface of your top and bottom front six teeth. They are made of small, thin brackets which are connected with a wire. Once your permanent retainers are placed in your mouth, you won’t need to worry about daily retainer schedules, since they are permanently affixed to your teeth. Because teeth start to shift naturally as we age, permanent retainers typically offer better long-term results for keeping your teeth straight than removable ones do. You can’t forget to put it in; it’s already there! Retainers help to maintain your new, healthy smile; but they only work if you wear them as prescribed. You've worked hard for that great smile, so don't take any chances. Remember to keep your retention appointments and follow Dr. Godwin's instructions, and you can have a healthy smile that lasts a lifetime!